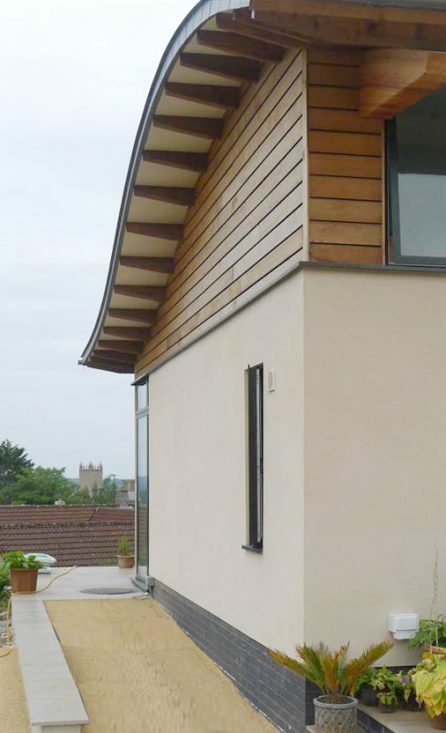 This distinctive house involved replacing an existing bungalow with a building that makes the most of its dramatic views towards Wells cathedral and Glastonbury Tor beyond. 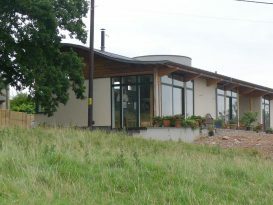 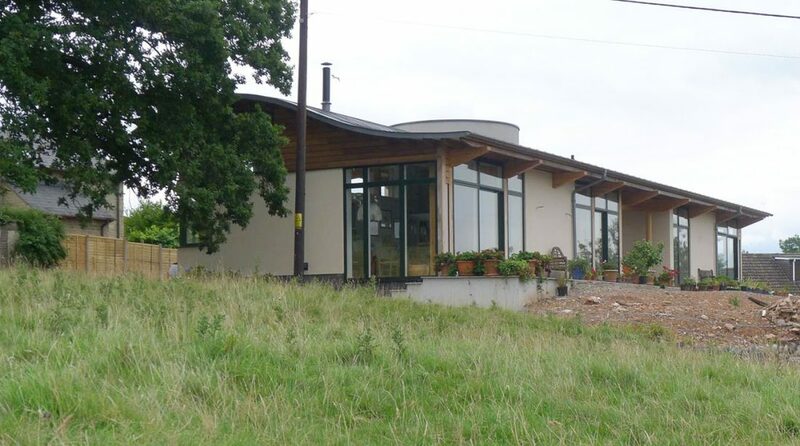 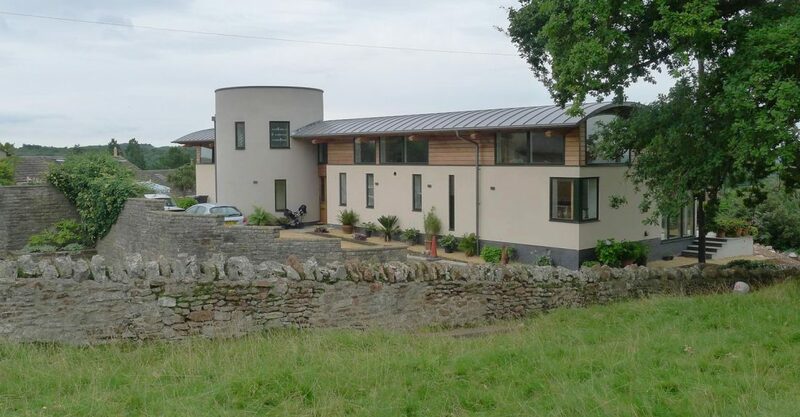 The design originated from an idea that the solid walls of the house emanate from the hillside whilst the floating curved roof mimics the rolling Mendip hills. A circular drum demarcates the entrance and provides a sense of arrival whilst views to the South of the Cathedral are framed with a large circular window upon arrival. 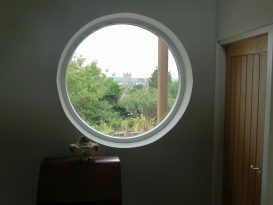 Large South facing glazing also maximises the views of Glastonbury Tor and the open landscape to the West over Stoberry Park . 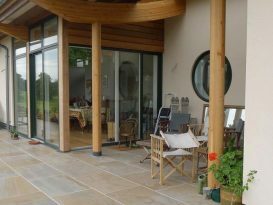 A covered terrace provides a sheltered south facing al fresco dining area. 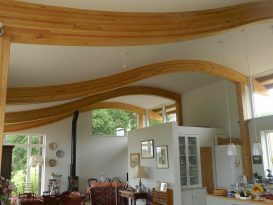 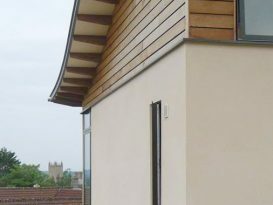 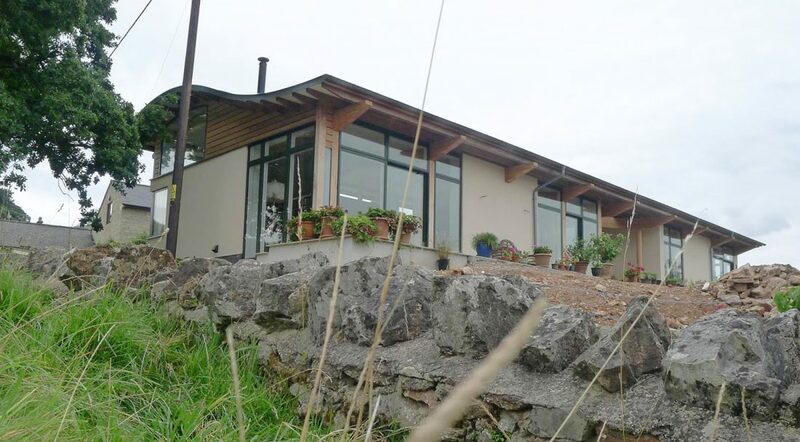 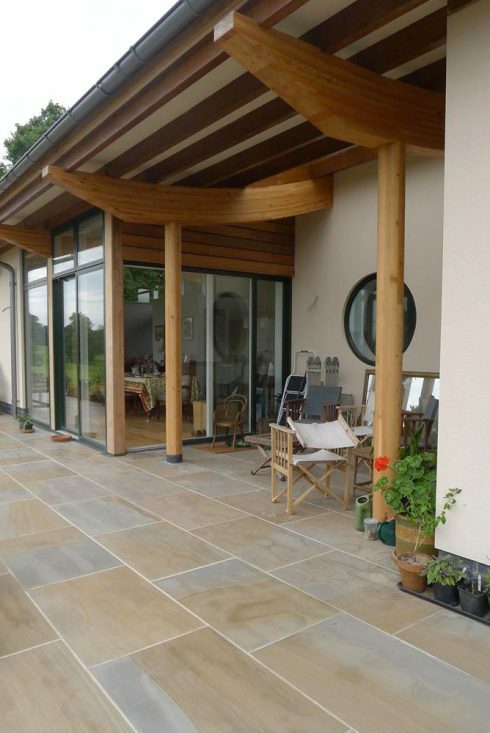 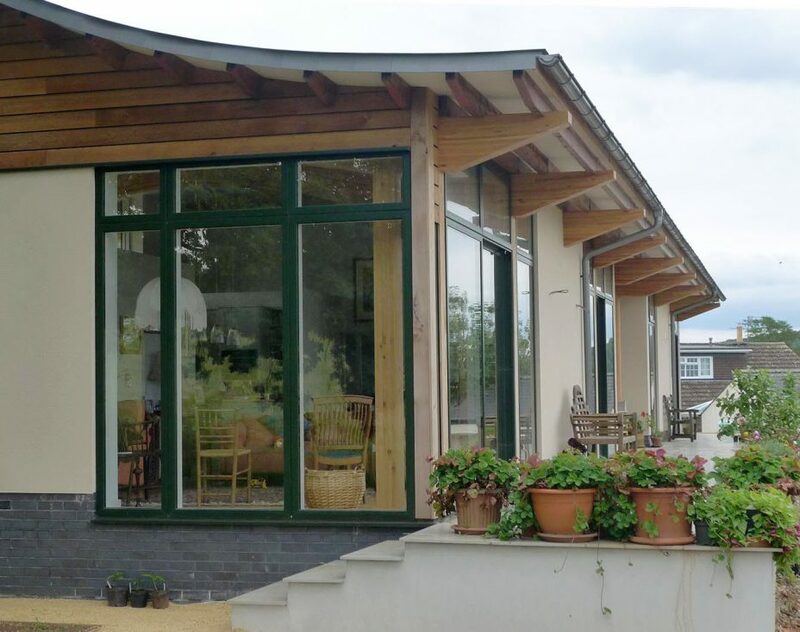 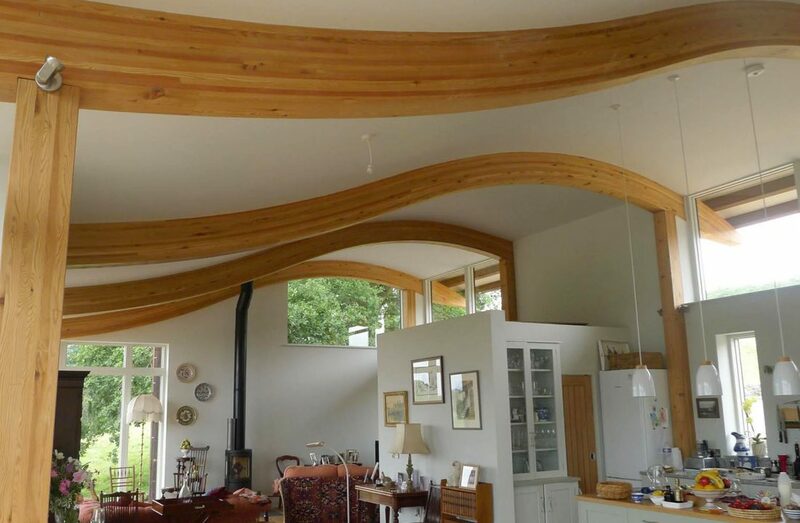 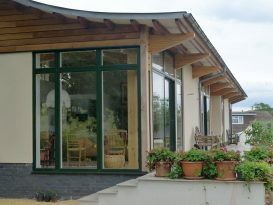 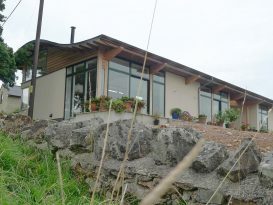 Well insulated walls and roof provide the backdrop to the dramatic curved roof which is supported on larch glulam timber beams and columns produced locally at Buckland Timber’s yard in Devon. 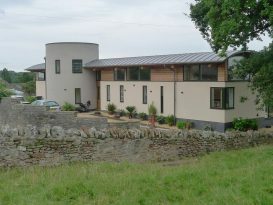 A rainwater tank collects water for use in the garden.